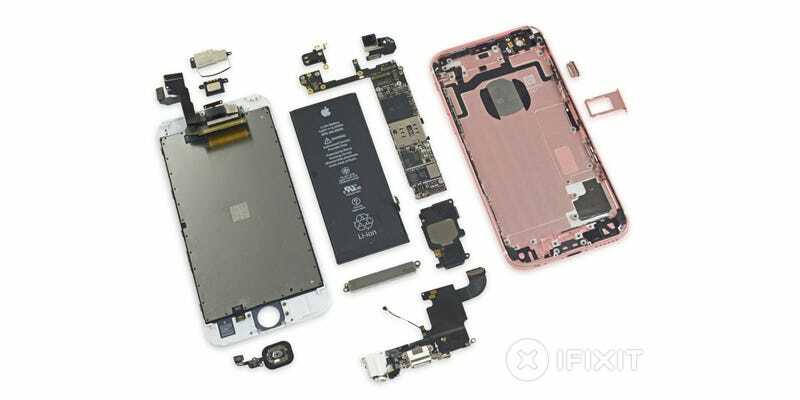 With the arrival of the iPhone 6S in eager hands around the world today, iFixit has already torn the new phone apart. Here’s what’s inside. The battery of the phone is indeed smaller, with a capacity of 1715 mAh rather than 1810 mAh. In fact, the new Taptic Engine takes up a chunk of space below the battery — which may explain the reduction in capacity. Some of the extra weight of the phone comes from the new display: it now weighs 60 grams, which is a 15 gram increase over the one in the iPhone 6. The A9 chipset is a little bigger then the old phone’s A8 unit, measuring 14.5 x 15 mm compared to 13.5 x 14.5 mm. That was enough to snag the phone a repairability score of 7 out of 10—not bad for an Apple product.